Alton E. Wethli Sr., age 86, lifelong resident of Waterford, business owner and fireman, beloved father and grandfather, died at his home on Wednesday morning, November 18, 2015 after a short illness. Born October 15, 1929 in Waterford, he was the son of the late Jacob and Eva Mae Owens Wethli. He shared a happy marriage for over 52 years with Margaret Rosemarie Lenart, whom he married August 19, 1950. She preceded him in death on February 16, 2003. Alton attended school in Waterford and then worked at General Electric for 5 years and Penn Brass and Copper for 41 years. As an electrician, he began repairing appliances in the late 1960’s and opened Al’s Appliance Sales and Service in Waterford in 1973. Al and his wife Margaret together operated the store for many years until her death in 2003, and Al continued to be in the store everyday until just two weeks ago on November 5th. Al made countless personal friends by delivering and repairing appliances in many homes over the years. Al joined Stancliff Hose Company on April 3, 1953. He served as Assistant Chief for 18 years, Trustee and Safety Officer until 2013, and currently as an Honorary Active member. Overall, after spending 62 years serving his community responding to ambulance and fire calls, Al was an important participant in the significant events of many lives. Alton was recognized as “Erie County Firefighter of the Year” in 2009. Many will miss seeing Al at local auctions. He attended auctions all over the tristate area and made many friendships with the auctioneers and regular attenders. Some of Al’s memberships include the Pioneer Steam and Gas Engine Society, the Presque Isle Antique Auto Club where he displayed his 1948 DeSoto, American Legion Post 287, Union City Moose Lodge, Ducks Unlimited, and National Rifle Association. Family members that remain to mourn his loss are his three daughters: Diane R. Morris and husband Wayne of Erie, Donna A. Miller and husband Jerry of Corry, and Darlene J. Haibach of Waterford; his three sons: Alton E. “Bootie” Wethli Jr. and wife Sue, David A. Wethli and wife Linda, and Daniel E. Wethli, all of Waterford; and his beloved 14 grandchildren and 20 great-grandchildren. 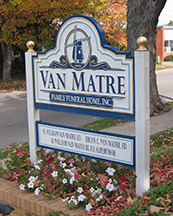 Visiting hours will be at Van Matre Funeral Home, 105 Walnut Street, Waterford on Saturday 7-9 p.m. and Sunday 2-4 and 7-9 p.m. The funeral service will be there Monday at 11:00 a.m. officiated by Pastor Gary Darnell of Harmony Baptist Church, Waterford. Burial will follow at Waterford Cemetery. Memorials may be sent to Stancliff Hose Company, PO Box 275, Waterford, PA 16441. Sorry for your loss. May the God of all comfort be your comfort (2 Cori thians 1:3). So sorry to hear about Al. What a great guy and what a huge loss for the Waterford community.